Adam is highly experienced in providing sedation for patients and uses these techniques for dental implants and cosmetic dentistry. To date he has carried out over 1500 IV sedations and has trained over 500 dentists in this technique. IV sedation is a way that any patient can have their anxiety, fear and memory of a dental procedure removed, allowing even the most anxious individual receive the care they deserve. 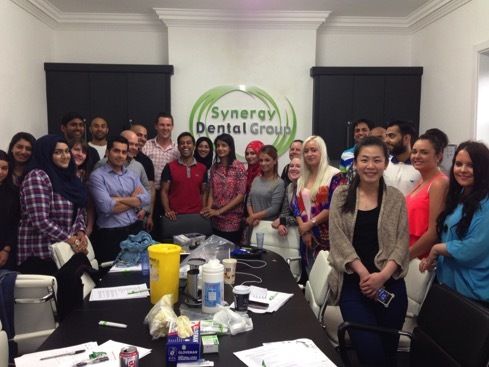 Adam lectures nationally on the subject of dental anxiety and sedation, training other dentists in IV sedation (intravenous midazolam conscious sedation). if you wish to find out more about the services that Adam can offer you, please contact him directly via the link at the foot of this page. Dental anxiety is very common and nothing to be embarrassed about. Classically a bad childhood experience at the dentist or more recent trauma can leave a patient in fear of having dental treatment. Intravenous sedation (Conscious sedation) is a way to receive treatment in a totally relaxed and stress free manner. We can use a drug called midazolam which very quickly puts you at ease and many people will fall asleep during treatment. Most people will have no memory of the treatment session. Unlike general anaesthetics, IV sedation has no ‘hangover’ effect or feeling of nausea; in fact it feels very pleasant afterwards. If you are having IV sedation, you will need to arrange to have a responsible adult attend the appointment with you and take you home afterwards. You are unable to drive for 24 hours or carry out dangerous tasks that require concentration. Further information about sedation can be given at your consultation.